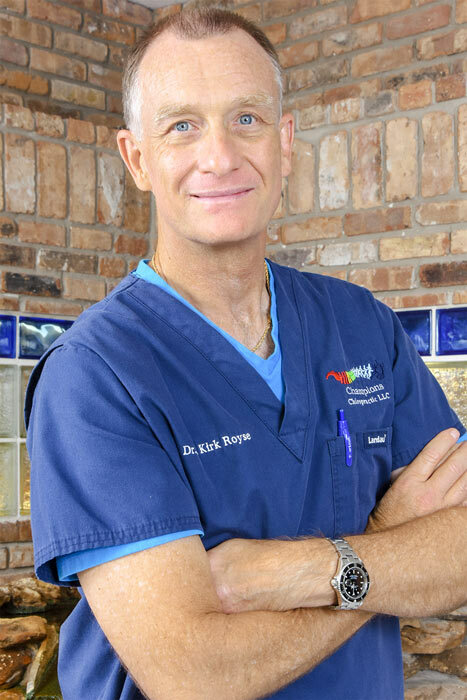 Dr. R. Kirk Royse, D.C.
Dr. Royse is a second generation Chiropractor with over 25 years experience using a modern,gentle approach suitable for the whole family. Growing up in a Chiropractic family has given agreater appreciation, knowledge and vast experience of treating patients from all over the world. The fortunate opportunity to work along side his father for over 10 years, allowed him to draw on others for experience, honing his art and craft as a dynamic Chiropractor. This allowed him to travel to Australia opening two very successful clinics in which are still in operation today. A decision to return to the United States resulted in an opportunity to become a part of Champions Chiropractic which has been in the Champions / 1960 area over 40 years started by Dr. Bert Williams. Dr. Royse is compassionate about Chiropractic, listening to your concerns and answering your questions. He will make you feel comfortable right away knowing you are in good hands.